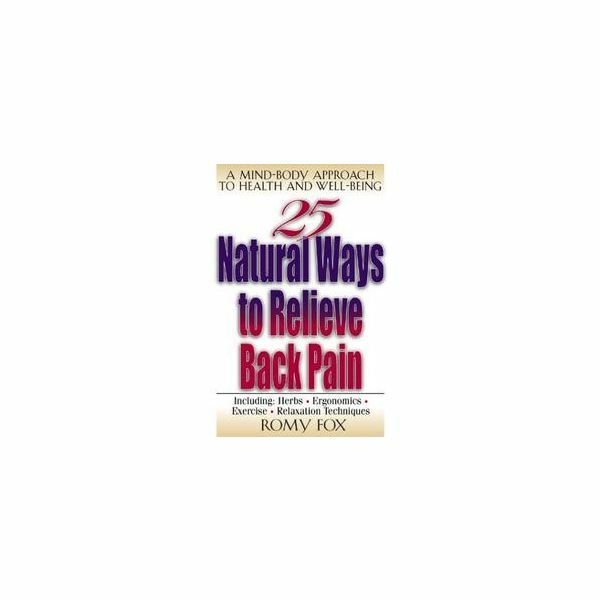 25 Natural Ways To Relieve Back Pain by Romy Fox offers simple and easy ways to reduce and ease different types of back pain through the use of exercise, stretching and other natural and alternative therapies. Fox identified that most back pain stems from your lower back or lumbar region. This is the area of your back that provides you with the bulk of the muscle that is needed to lift, stand, walk, twist, turn and bend. Despite the fact that back pain is so common, the cause is often elusive and may involve many different factors. In general, most back pain is attributable to strains and sprains, disk problems, joint degeneration, osteoporosis, and disease or structural problems. Ms. Fox believes that the body can and will usually heal itself if treated properly and pointed in the right direction. She feels that using natural and noninvasive approaches to relive back pain can work just as well, if not better than, medication or surgery. Each chapter of her book focuses on one of these natural methods. She emphasis that the first ten chapters are the most important because back pain is often due to a mechanical problem such as the way you stand, sit, sleep or lift, and until these problems are corrected, your back may never heal. After that, she advises to flip through the rest of the chapters and focus on what is most appealing or applicable to your situation. 25 Natural Ways to Relieve Back Pain definitely hits every idea on natural ways to relieve back pain. Fox begins by focusing on simple posture and sleeping changes, as well as different exercises and stretches. Then she goes on to more complex ideas such as chiropractic, massage, Rolfing, herbs, homeopathy, and Ayurvedic healing. The last three chapters involve meditations and projecting a positive mental attitude.